based in heritage city of india, hi-tech auto industries is known for its high quality products. 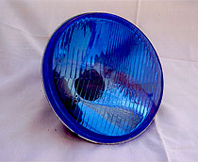 Over the years, we have developed high specialization in production of auto head lamps, bulbs & accessories. our strong infrastructure, complete in-house mfg. Process coupled with skilled team of moulders enables us to bring out very high quality products at low production cost and in relatively short time. These are the factors behind our exceptional growth continuously. Our biggest strength is our people. We prize their expertise and let them take initiative. We have been fortunate to continue to attract and retain a group of talented people who know their jobs well. our dedicated team members care about the quality of their work. Our people, like our products, are highly reliable. We are committed to getting the job right every time, on time..